Hot topics: Maybe mythical German treasure. Receive Culture Crime News as a weekly newsletter! Sign up here. Dealer’s trade in antiquities prompts harsh questions of museums the world over. Taxing question of Scotland’s Old Masters: If independence is passed, what will happen to the privately owned paintings on loan to public collections? Will the Scots sack the British Museum? 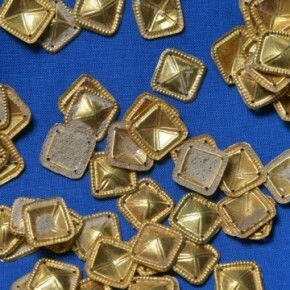 Could Roman Gold Found in Germany be Nibelung Rhinegold Treasure?